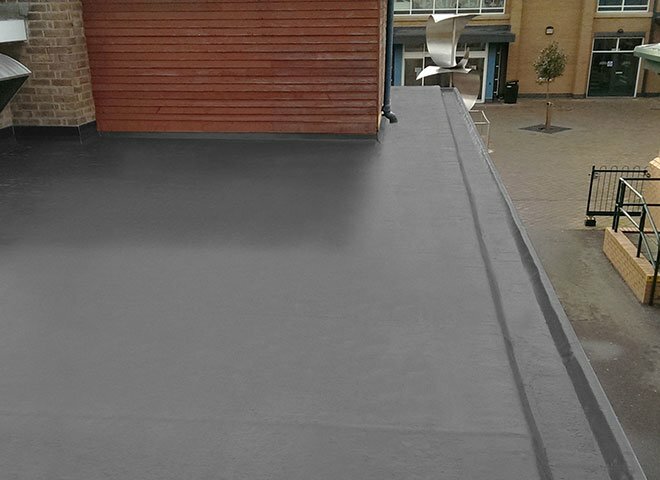 Topseal Direct lay is a new flat roofing system offered by Topseal a versatile and flexible flat roofing system suitable for new builds, replacement roofs, commercial property, listed or iconic buildings. with an accompanying 20-year product & workmanship guarantee with an optional insolvency guarantee against workmanship and10-year insurance backed guarantee available. MGF Roofing is a fully trained Topseal 'Approved Installer' and are the longest established in Topseal Approved roofing contractors in Edinburgh. Suitable for direct application to Felt, Asphalt and concrete substrates. Environmentally friendly due to the non-removal/ disposal of the existing flat roofing system. Minimal risk of ingress during installation. In addition to this new Direct lay Roofing System MGF Roofers Edinburgh provides a comprehensive range of flat roofing systems which include not only the traditional roofing systems but also specialised roofing services for domestic as well as commercial roofing projects. MGF is one of Scotlands premier roofing companies. Our roofers are trained and have the skills to ensure that you will get the quality of workmanship you expect; that’s why you can trust us to provide a hassle-free and guaranteed roof installation. 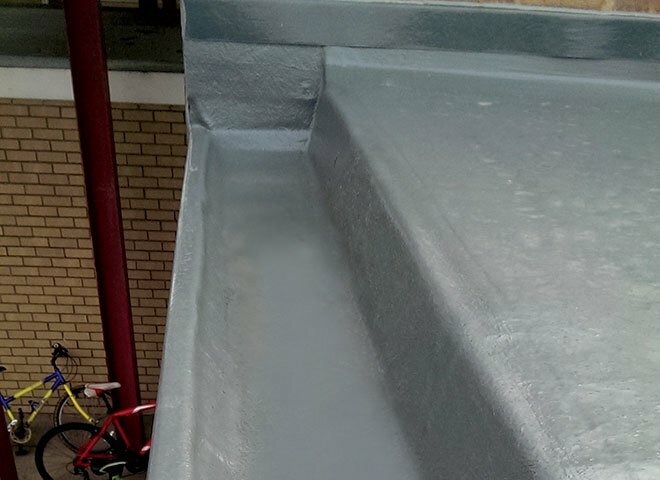 Topseal has a range of fibreglass flat roofing systems including the Topseal Overlay system that is specifically designed for the flat roofing refurbishment market. 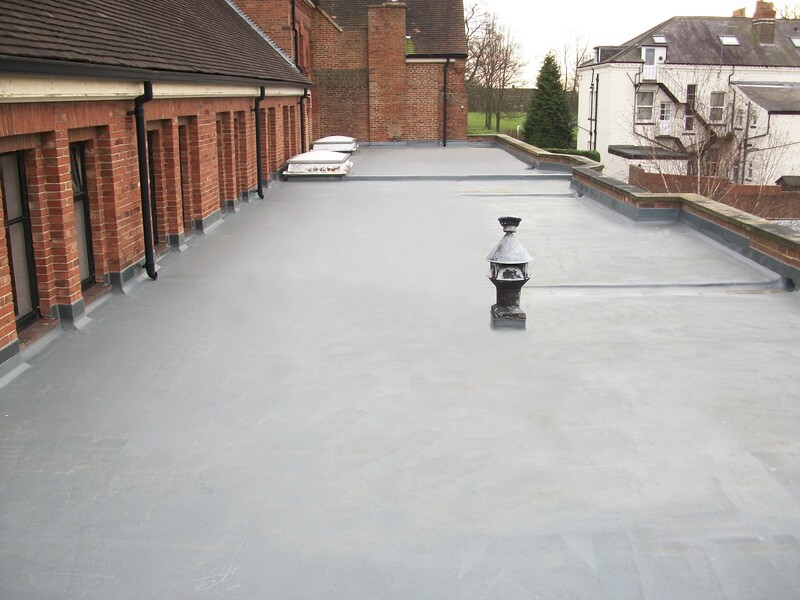 For refurbishment roofs, the Topseal Overlay system can be used and enables you to have a guaranteed watertight roof without having the inconvenience of having your old roof stripped off. The New Overlay flat roofing system, like all Topseal flat roofing systems, are installed only by Topseal trained and approved installers. Topseal Overlay is not only cost effective for flat roof refurbishments, but as it is a cold-liquid applied system there is no heat or flames used on your roof and the installers also cut down on landfill as the system is directly applied onto existing surfaces (felt, asphalt and concrete) which also means that you can continue as normal working in the building with minimal disruption. The Topseal Overlay system comes with as standard a 20 year product and workmanship guarantee; it is also available with an optional guarantee protection certificate. There are two options for improving the waterproofing on your current roof, either strip off the failing current system or to overlay it. MGF Roofing has a Flat roofing system suitable for your specification. To find out more about Topseal Direct Lay GRP roof systems get in touch with MGF Roofers Edinburgh today for a free no obligation estimate on any our roofing services. If you would like to find out more about this product or get a free no obligation quote for your property, then please get in touch with us to discuss your requirements further. We are based in Edinburgh and will travel throughout Scotland to install this roof system for you.